let me be the first ( hopefully) to congratulate you on arriving in Philli. Life is all about setting goals, but then you need to carry out and achieve the goals you have set for yourselves and you guys have done that, so well done and may I say on behalf of all your family and friends well done and we are all very proud of what you have achieved. Congratulations & well done on a great journey. look forward to hearing more on your trip. 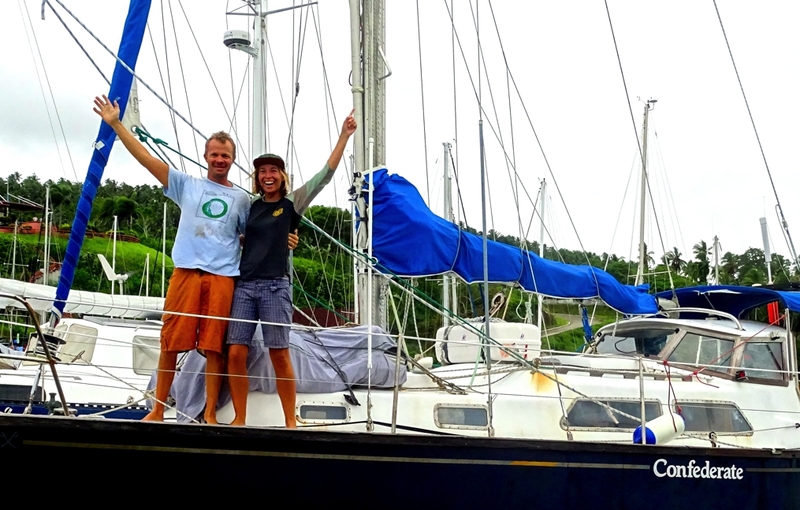 Phil & Different Drummer arrived back at Opua on the 11th October. H e really enjoyed his trip up around the Solomons too. All the best for the rest of your journey & safe travels.